Joseph joined Watsi on March 12th, 2013. 1,775 other people also joined Watsi on that day! Joseph's most recent donation traveled 8,200 miles to support Musiimenta, a woman from Uganda, to fund gynecological surgery. Joseph has funded healthcare for 39 patients in 9 countries. 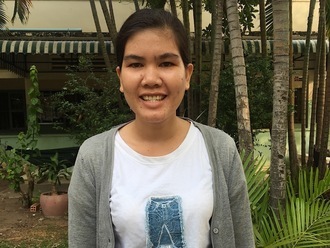 Somaly is a 27-year-old woman from Cambodia. She works at a bank. She has two brothers and four sisters. In her free time, she enjoys tailoring clothes. One year ago, she was in a motorcycle accident and injured her foot. Ever since the accident, she has had difficulty walking and is in chronic pain. In October of last year, she had a procedure done to fix her leg and foot trauma. Now, she is still having difficulty moving and needs another procedure to improve her mobility. Somaly is scheduled to undergo surgery on March 7. Now, she needs help raising $497 to fund the procedure. 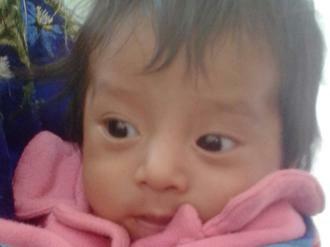 After her surgery, she looks forward to going home and spending time with her friends and siblings. She says, "After the surgery, I hope I can walk easily and return to work soon." Namara is a 32-year-old woman from Uganda. She is married and a mother of two girls, who are in school. Her husband works as a driver. Namara used to work in a hotel but has stopped working recently due to her pregnancy. Both of Namara's daughters were born through C-section. Because of her previous scars, her doctor has suggested that she undergo a third C-section to deliver this baby. Now, Namara is scheduled to undergo a C-section on March 15. She needs help raising $280 to pay for the procedure, which should keep both mother and child healthy and safe through delivery. She says, "After surgery I will go for a thanksgiving mass in church and continue taking care of my family." Bartimayo is a nine-year-old boy from Tanzania. He is the fifth child in a large family of twelve children! He lives with his parents, who are both farmers and livestock keepers. When Bartimayo was seven, his parents began to notice his legs bending. He would also complain of occasional pain as his condition worsened. They use traditional medicines to help alleviate his symptoms, but this treatment was unsuccessful. Thankfully, Bartimayo's parents met a patient with the same condition who was successfully treated at Arusha Lutheran Medical Center (ALMC), a Watsi care center. At ALMC, Bartimayo was diagnosed with bilateral genu valgus, which means that both of his legs bend inward, making it difficult and painful to walk. Bartimayo will need surgery to help his conditions. He will need $838 to fund the procedure. His parents were able to provide $45 out of their own pockets to subsidize his treatment. Bartimayo looks forward to being well again so he can continue his education, play with his friends, and help his family with chores. 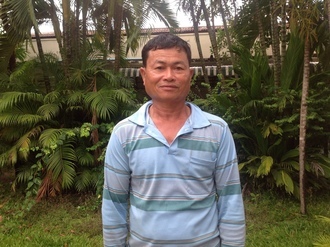 Kheng is a 56-year-old construction worker from Cambodia. He is a husband and father of two sons and four daughters. In his free time, he likes to watch Khmer boxing on TV, listen to old songs, and listen to the news on the radio. 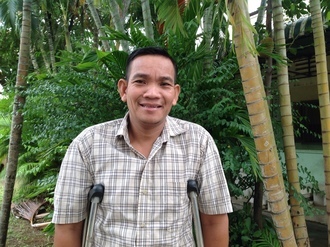 In July 2016, Kheng fell from a height of two meters, resulting in a fracture in his left kneecap. As a result, he developed muscle atrophy, the wasting of muscle mass, in his quadriceps. It became difficult for him to extend his left leg, and he experienced a lot of pain. He traveled for two hours with his wife to reach our medical partner, Children's Surgical Centre (CSC), to receive treatment. Surgeons will perform an open reduction internal fixation procedure, a surgical procedure that fixes severe bone fractures, in his left leg. The treatment is scheduled for February 2, and it will allow Kheng to walk easily again. Our medical partner is requesting $411 to fund the treatment. 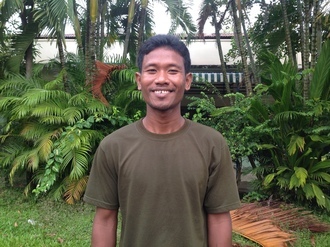 Ath is a 34-year-old construction worker from Cambodia. He is married and has a son. Ath enjoys listening to pop music, watching boxing on TV, and reading magazines. In January of 2016, Ath sustained electrical burns on both his wrists. He went to a hospital in Phnom Penh, where surgeons performed a debridement procedure to remove damaged tissue. Three months later, he returned to the same hospital for a skin flap procedure. The procedure was successful. His wound has healed nicely, and the skin flaps look healthy. Though Ath has improved, his previous procedures only treated parts of his injury. Ath's accident also caused his tendons to rupture, making it difficult and painful for him to flex and extend his wrists. Through people in his village, Ath heard about our medical partner, Children's Surgical Centre (CSC). Along with his brother, Ath made the five hour journey to CSC for treatment. On January 16, Ath will undergo a tenolysis procedure at our medical partner's care center, Kien Khleang National Rehabilitation Centre. This procedure will remove the scar tissue that has bonded Ath's tendons to the surrounding tissue. CSC is asking for $450 in funds to cover the cost of this surgery and the accompanying supplies. After this surgery, Ath will be able to use his wrists easily again. Nen is a 41-year-old farmer who is married with two sons. He likes to watch TV and go to the rice field. Nen heard about CSC from people who live in his village. He traveled for four hours with his wife to reach CSC for treatment. Nen has had a difficult time walking for the past 20 years due to osteoarthritis in both hips, however, pain is worse in his right hip. He took painkillers, but his symptoms did not improve. He also went to a Khmer traditional healer for treatment, but has not gotten better. In recent weeks, his pain has increasingly gotten worse to the point where he's unable to work and sleep. Nen has to use crutches to get around. Fortunately, on October 26th, surgeons at CSC were scheduled to perform a total hip replacement on his right side to allow Nen to walk more comfortably and relieve him of his pain. Doctors expect this surgery will give Nen back his mobility, reduce his pain, and allow him to return to work.